This post may contain affiliate links. See our disclosures for more info. Here at RichmondSavers.com we have a set of financial guidelines–a philosophy of sorts–that we take seriously and try to live by each and every day. These guidelines are how we plan to pursue financial independence. And if you’re starting to optimize your finances, or even if you’re just new to our website, they might be a good refresher or a way to help you get acclimated with today’s financial landscape. Use the links below to jump ahead to a section. The single most important rule is to save money. Every day, every month, every year. Just save money. All the investing advice in the world won’t do you any good if you don’t have any saved money to invest. You aren’t depriving yourself by saving money — you’re reducing future stress and gaining freedom over your life! Don’t think of money as being worth its face value. Instead, you should value money at its growth potential. For example, you could buy a new $800 TV, which would mean you lose $800. But if you invested it and earned 7 percent interest, compounded annually, for 40 years, that $800 would be worth $11,979. Isn’t that better than a new TV? Always try to make your financial life simpler and less stressful. Make a game out of living a normal middle-class life while getting rich at the same time. We like to call this “middle-class living…just smarter” or “building wealth on a middle-class salary.” Find simple ways to live a similar life to everyone else just for less money. Visualize a Debt-Free Life. Then Create It. Your life is much easier with no credit card debt and some savings in the bank. Just think of how nice it would be to not live paycheck-to-paycheck every month stressing about how you’re going to make it. With even $5,000 in the bank, and no credit card debt, life is a lot less stressful. Then think about how many options you’ll have with $50,000 or $100,000 in the bank or how early you can retire when you have $500,000 saved. Always automate as much of your financial life as possible, including your contributions to savings and all your bills. Make everything as simple and stress-free as possible. If you have a spouse or significant other, you need to discuss your finances and make sure you understand where each other are coming from; people have such different backgrounds and expectations when it comes to life and money that it’s essential you two can move forward together as a united team. You need to define your goals in life and think of them every time you’re tempted to buy that new car or ‘keep up with the Jones’ in some regard. Do you want to retire early? Travel the world? Start your own business? Pass money on to your kids and grandchildren someday? Volunteer? Teach? Donate to a charitable organization? All of the above? You need to have some sense of what you’re doing so you can make it a priority. Track your net worth (wealth) on a quarterly basis so you can see the progress you make over years and decades. It should take about 10 minutes to document every 3 months. And check out the free website Personal Capital. It’s a great tool that easily brings together all your financial accounts (bank accounts, investments, etc.) in one easy-to-use interface so you can track your progress. We use Personal Capital and we highly recommend it (and it’s free!). You can’t go from a bad situation to filthy rich in a month, but small changes add up over many years. It’s sometimes hard to see how not getting that $5 cup of Starbucks or that next $7 margarita can add up to real money, but over the course of years and decades, small decisions make a big difference. Don’t deprive yourself, but just be smart about your spending. While thinking long-term, you need to start thinking of yourself as an investor instead of just a regular Joe or Jane who collects a paycheck and will always need to. Every investor had to start somewhere, even as little as their first $100. We guarantee that if you make a habit out of saving and investing, you’ll amass vast sums of money almost without trying. Look at your monthly bills and see where all your money is going. Sometimes it just takes something this simple to change your habits. Are you spending $50 a month on HBO, Showtime and Cinemax when Netflix Streaming only costs $9 a month? How about $100 a month on a cell phone when switching to a prepaid phone can cost you less than $10 a month? Stop worrying how good you look with your new car and fancy house and start worrying about the money in your bank account. People are impressed with your new stuff for one day, but the debt lasts for years. You are NOT entitled to anything just because you’re an American living in the 21st century. Just because ‘everyone’ has a smart phone does not mean you’re entitled to as well. Just because ‘everyone’ gets a new car every few years does not mean you’re entitled to as well. Those people are most likely poor and in debt up to their eyeballs and you’re trying to get rich and to simply be smarter than they are. Don’t spend any differently whether you have $100 in the bank or $100,000. Figure out what has value to you and buy it. If there isn’t value, then don’t buy it. When considering what has “value”, think about how much of your time you need to spend working in order to buy something. If you make $20 an hour (about a $40,000 salary) and you lose 30% of it off the top to taxes, you’re down to $14 an hour. So that $100 dinner and drinks on Friday costs you nearly an entire day of work. Do you really want to waste an entire day of your life at work just for one dinner? There are a few main pillars of a healthy financial life and you need to consider all of them before determining if you can “afford” something. If you’re not saving for: retirement, regular savings, college (if you have kids) and then any normal travel & entertainment, then you aren’t living a balanced financial life. So many people think they can “afford” a big house, but then they don’t have any money left over for anything else. You CAN’T afford it! You really need to stop buying stupid garbage that just fills your house with clutter. Even the most “valuable” item is practically worthless the minute you bring it home. Don’t believe me? Go to a garage sale and see how many expensive items are now being sold for less than $5. Also, Owning things is a relic of a past age. You can now rent just about everything you need, from Netflix movies to dresses to ties and just about everything else in between. Stop buying things you’ll only use once or twice! Plan. If you fail to plan, you plan to fail. You need some kind of plan for your life, otherwise you’ll just drift through blissfully unaware while you continue to eat out, text on your expensive phone and then wonder why you don’t have enough money to retire at 65 (when people like us will be entering our second or third decade of retirement) or to even travel a little bit and enjoy life. Use the public library. Are you seriously buying books when you can get every book you ever wanted for free at the public library? Your tax dollars are already going to fund the library, so why not get some benefit out of it? By spending less money each month you get a double benefit: you are able to save money, which then earns you some type of income (usually interest) going forward, so that saved dollar is incredibly valuable and you learn to live on less so it’s even quicker before all that saved money can earn you enough to live on passively without working. We suggest reading two personal financial websites: most importantly, you must read Mr. Money Mustache. This is the single best personal finance website on the internet today and is an absolute must read. We recommend you reading Jim Collins’ Stock Series. This set of articles changed our investing lives! Try to figure out where a company makes the most money and avoid that product or service; one easy way to tell is what they are pushing most strenuously. Two examples are drinks when you go out to a restaurant and warranties when you buy a car or appliance. A glass of soda costs a restaurant about 5 cents and they usually charge you upwards of $2. When you add on tax and tip, you’re looking at $3 for one glass. It’s almost impossible to walk out of car dealership without them hawking multiple year warranties, as they know they are a sucker’s bet and that’s where they make a good portion of their profits. We spend a lot of time writing about credit card rewards, because as you will see below we think they are a critical part of a balanced financial strategy in today’s world. As you learn more about credit cards on our website, please know that if you apply for new credit cards on our credit cards page, you will help support our community and the work we do to provide free information to our readers. There is also a link to the credit cards page in our main menu. Credit cards can make you richer! But let me explain…Yes, most of us associate credit cards with debt, which for some people spirals out of control and can be a HUGE obstacle to financial independence. That’s why you’ll hear folks like Dave Ramsey encourage their followers to never use credit cards. But we see things a bit differently. If you are smart with your credit cards, they can actually earn you thousands of dollars each year. Since we are smart and disciplined with our money, we leverage credit card rewards as much as possible. If we didn’t, we would leave thousands and thousands of dollars on the table. In fact, we already have about $30,000 worth of credit card rewards to our name. Remember, credit card rewards are tax free, which is part of why this is such a lucrative strategy. There are two primary ways to make money from credit cards. The first involves signup bonuses. Credit card companies today are competing for your business, which means they are offering you significant money to open an account and meet a minimum spending requirement (ie “$3,000 in the first three months”). Sometimes this is cold hard cash back, and other times it’s only for travel. Now, you wouldn’t spend “extra” on the cards; you’d essentially just be spending on essentials (groceries, gas, childcare, utilities, and so forth). So it wouldn’t cost you more money but could help you earn more money. For example, if you earned four of these bonuses each year and each was valued at $500, you would effectively increase your income by $2,000. If you want to hear me talk about this, listen to this episode of the Choose FI podcast on travel rewards. The second way to earn is from bonuses on your everyday spending. Rather than focusing on the minimum spending signup bonus, you might have a card that earns two percent back on everything. Or, you may get one with a bonus of six percent back on groceries, for example. 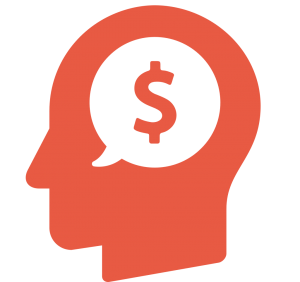 By being strategic, you can save a big chunk of money on nearly every purchase you make. We know that credit card rewards can be confusing when you are first learning how they work. So one good strategy to get some hands on experience is to open a card with good perks and no annual fee. If you’re feeling more advanced, check out our guide about how we went to Disney for free, which covers some basic credit card strategies more in depth. Always pay your bill in full each month and pay it on time. The interest and fees of even one missed payment offset the benefits of using the card. Automating bills can help. Don’t ever pay an annual fee on a credit card unless you’re getting significant value from it (free hotel rooms worth more than the fee, etc.). There is nothing to stop you from closing a card that isn’t providing value. Check your credit report every 4 months free at annualcreditreport.com. Thanks to the US government you can check each of the bureaus free every 12-months, so we pull one every four months instead of all 3 at once. Some other benefits of a credit card are: you can track your spending on everything you purchase; they give you what amounts to a 30-45 day interest-free loan on every purchase; many credit cards now include free FICO credit score tracking. Keep one or two cards open indefinitely, as part of your credit score relates to the length of your credit history. When taking out a new mortgage, make certain there is no prepayment penalty. This allows you to pay extra principal each month, pay off your mortgage early and refinance your mortgage. Strongly consider paying additional principal each month. You’d be amazed at how many years you can take off the back-end of your 30-year mortgage just by paying $100-$200 extra each month. Don’t think about your home as “your biggest investment” as everyone else always labels it. It’s just a house. Most of the time it’s a money pit and your actual investment return is close to zero. This is a place to live. You should invest your money elsewhere. Upgrading your home to “increase the value” is a terrible financial decision. Even if by some miracle your house magically is worth 100% of the added cost of the renovation, when selling it you have to pay a 6% commission to your real estate agent, so your net worth actually just went down. Upgrade your home if you’ll get some enjoyment and function out of it, but not to make money. Do not buy a house if you’re planning on moving within 5 or even 10 years. The real estate commission alone will negate any possible value of paying down your principal instead of just renting a house or an apartment. People like to think that owning always beats renting, but it just simply isn’t the case much of the time. Buy a reliable car, such as a Honda or Toyota, and drive it for 200,000 miles. You’ll save tens of thousands of real dollars. It’s easy to look at your monthly payment on a $35,000 BMW and think “Oh, I can afford that!” But the difference between that car and a $17,000 Honda Civic is $18,000 that would otherwise be in your bank account at the end of your loan term. That’s real money! Do not ever lease a car. Lease = rent. It’s just a fancy way of saying it so you don’t realize how utterly ridiculous it is to rent a car every day of your life. Strongly consider buying a used car instead of a new one. Much of the value of the car is lost over the first 2-3 years. You can often get a car for 50% off the original sale price if you buy used after 3 years. It’ll have only about 30,000 miles on it and you can still get another 200,000 miles out of it for only 50% of the original price. We bought our Toyota Highlander with 27,000 miles on it for only $16,000 and it’s still going strong nearly 6 years later. A car is not an “investment” and don’t ever consider it one. It is an asset that is worth less and less each day. You want to minimize this cost as much as possible. You’ll never get rich owning a fancy car but I can assure you that you can become poor owning one. Remember that buying a car can eat away at your time. And, well, time is money. You should do extensive research into the car you want to buy, but don’t waste days or weeks with pesky dealers. We have firsthand experience with CarMax and Carvana, and both are pleasant alternatives to the traditional big dealer experience. Do not ever invest in something you don’t understand. So many “financial advisers” are really just salesmen trying to wring the largest commissions out of you as possible. And it’s almost always the most complex schemes that bring them the big bucks. If you don’t understand, ask them to keep explaining until a) you do understand b) they give up and move on to another sucker. You want to keep your investing expenses down as much as possible, which is why a broad index mutual fund is just about your best bet. Don’t pay any sales loads, commissions or any other account fees. This all proves to be a drag on your investing returns. We suggest Vanguard and we especially like their VTSAX Total Stock Market Index fund. Make regular contributions (we suggest twice a month to coincide with your paycheck) to your investing accounts. This way you don’t have to try to “time the market” by putting in a large amount all at once. It is so much easier psychologically to invest on a regular schedule. Setting up systems to keep your emotions out of financial decisions is the best possible course of action. Stop eating out so much, sitting on the couch all day watching tv and go start exercising! Even just a few 10-minute walks a day can dramatically improve your health. Get a pedometer and start tracking how many steps you take each day. We recommend the Fitbit. The recommended amount of steps each day is 10,000, which is about 5 miles walking a day. Just by wearing this every day you’ll find your habits changing and you’ll walk dramatically more. There’s no need for a fancy gym membership each month when you can get all the health benefits out of a simple body-weight exercise circuit. We recommend this article at the NY Times and this one on Nerd Fitness. While we do think you can exercise on your own for free, if you are considering joining a gym, then why not look into an outdoor exercise class instead? For example, we love X-Team Fitness in Richmond and recommend it to everyone. You’ll meet people with similar interests, get to see more of your city and you’ll face real-world exercise challenges instead of just lifting the same weights in the same manner every day. There are very likely these same groups in your city! 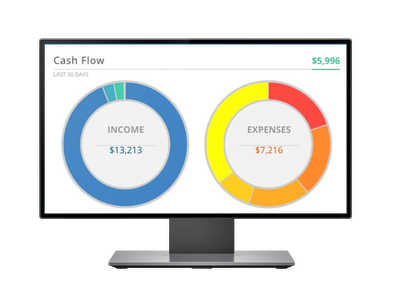 Track your net worth across all financial accounts, monitor cash flow, and analyze investment allocation and fees. Do all of this for FREE with this powerful tool.